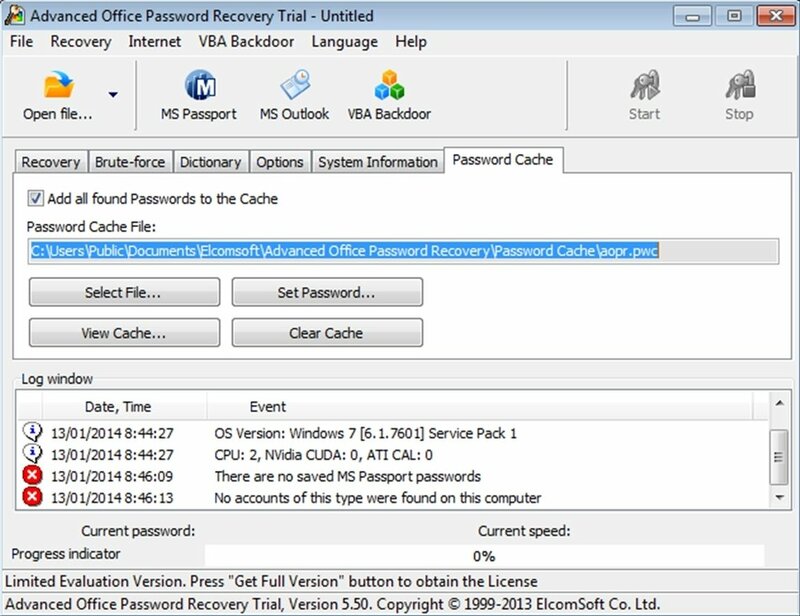 All documents created using Microsoft software, like Office, Microsoft Visio, Microsoft Money, Microsoft OneNote, Microsoft Publisher or Microsoft Project allow the user to save them and protect them with a password. 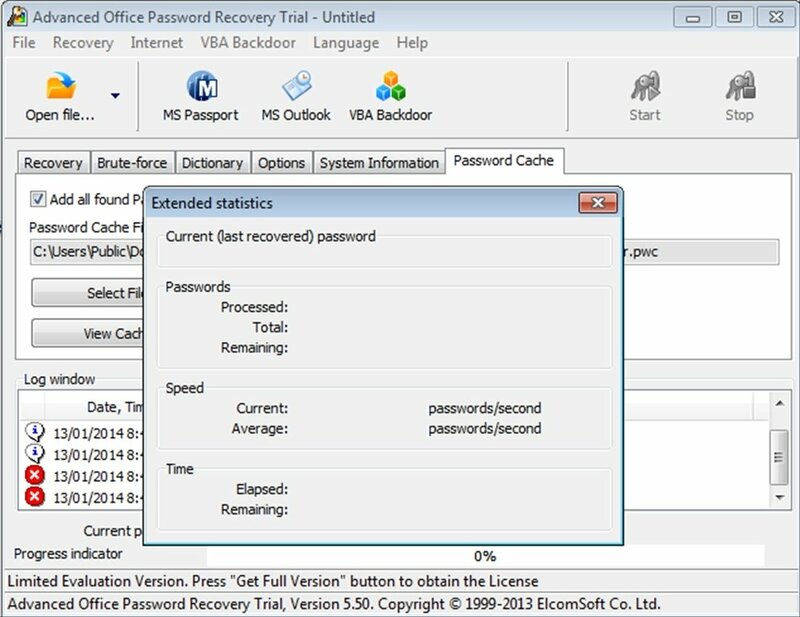 Nevertheless, if we use this feature a lot, it's possible that we may forget one or more of our passwords. 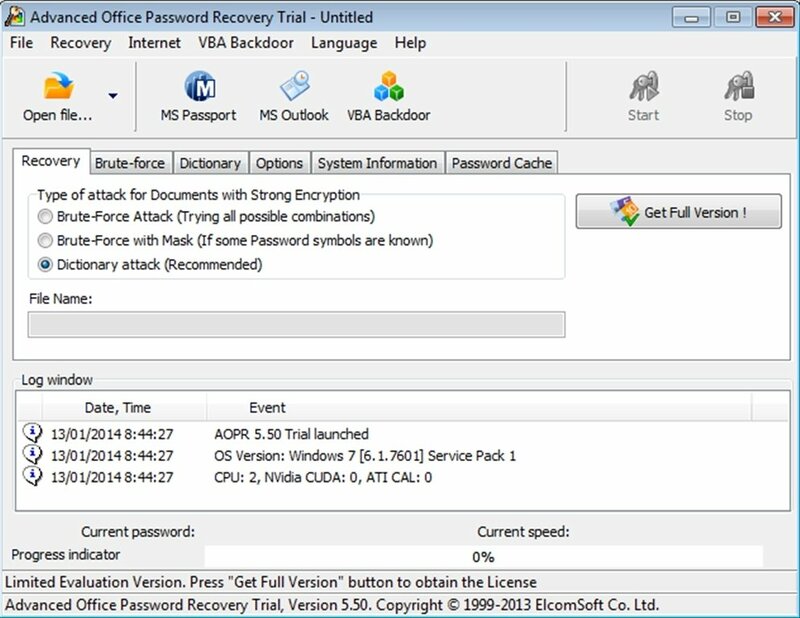 To be able to recover the password that we have forgotten, Advanced Office Password Recovery includes various methods to find out using general searches or "brute-force". 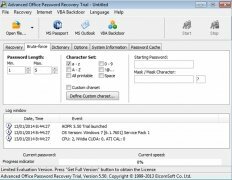 First, it tests with relatively simple passwords (combinations of usual numbers and words), if this doesn't work, it will start to use brute-force, and it even includes a complete dictionary in case a word has been used. 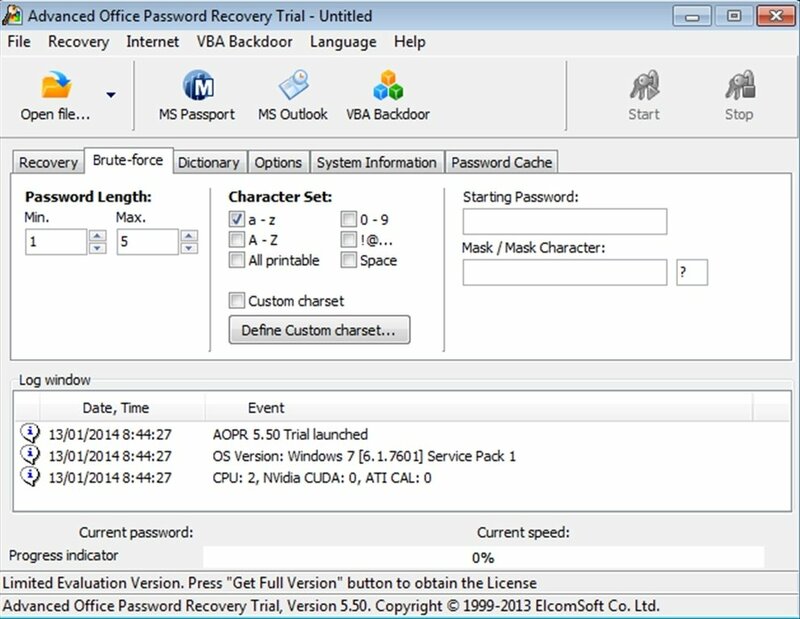 Advanced Office Password Recovery usually needs less than 10 minutes to find out the password of any file, this will depend on the power of the PC and the difficulty of the password. For a password like "hello123" it will probably need only a few seconds. It's necessary to have a ZIP compressor. The trial version has limited functions.